After what sure was an effort to mine data for some AI facial recognition software, Zombieland decided to bring their version of the #10YearChallenge. 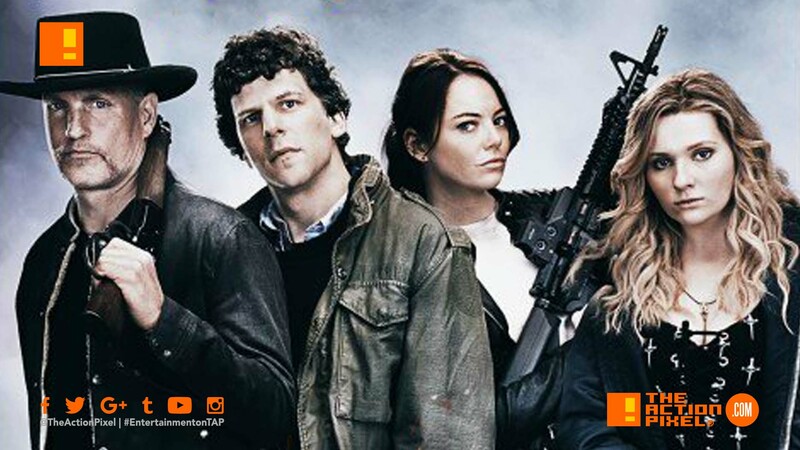 And its a poster image for the sequel – Zombieland: Double Tap. No relation. But it is a nod to the first film in every sense, down to the character poses of the first poster. The film will see the return of Abigail Breslin, Jesse Eisenberg, Woody Harrelson, and Emma Stone, with direction from Ruben Fleischer.